Imagine, for a moment, you are a member of a fantastic management team in a great enterprise. Many people would like to start their own business and be a successful entrepreneur. Others wish to step up the career ladder, one rung at a time, to the top. (Although as Steven Covey says in his book “7 Habits of Highly Successful People”, “be careful that when you get to the top, your ladder is against the correct wall”). Again, imagine ourselves in the “team” running our enterprise, it can be small or large, depending on how many people are in the club. As a board we want to give value to our Investors (Dividends). We want to give direction in the way it is going. 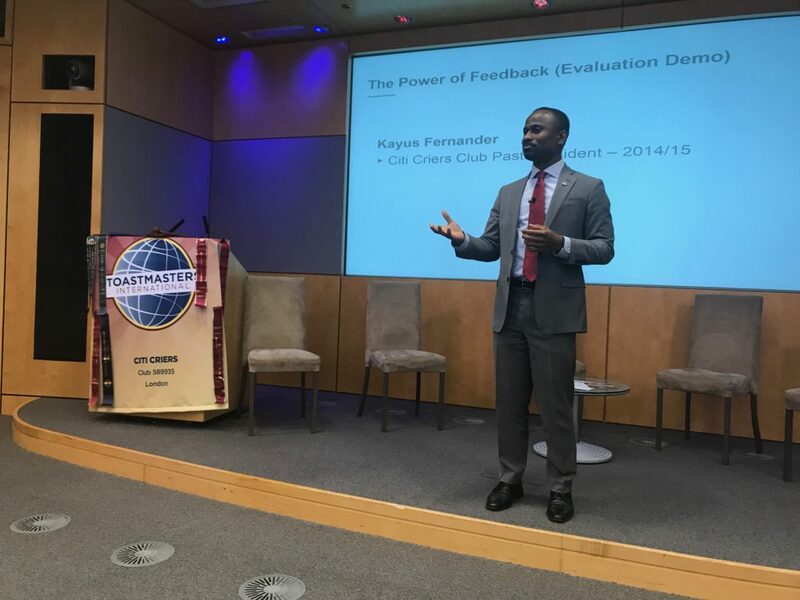 People join Toastmasters when they see a positive ROI (Return on Investment). They invest their time, money and energies. 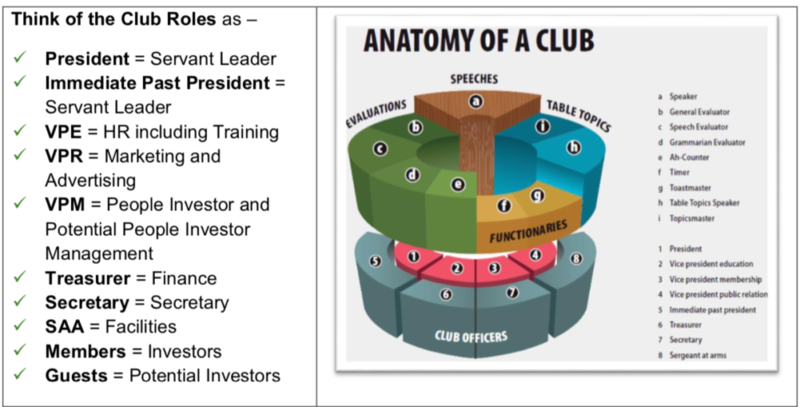 What does a TMI (Toastmaster’s Investor) want? WIIFM – what’s in it for me? Can I do the Programme? What will be the Dividend (Payoff) at the end? Will I have advice i.e. (Coaching and Mentoring)? A district, area or club committee role is a fantastic opportunity to grow yourself and help those around you. 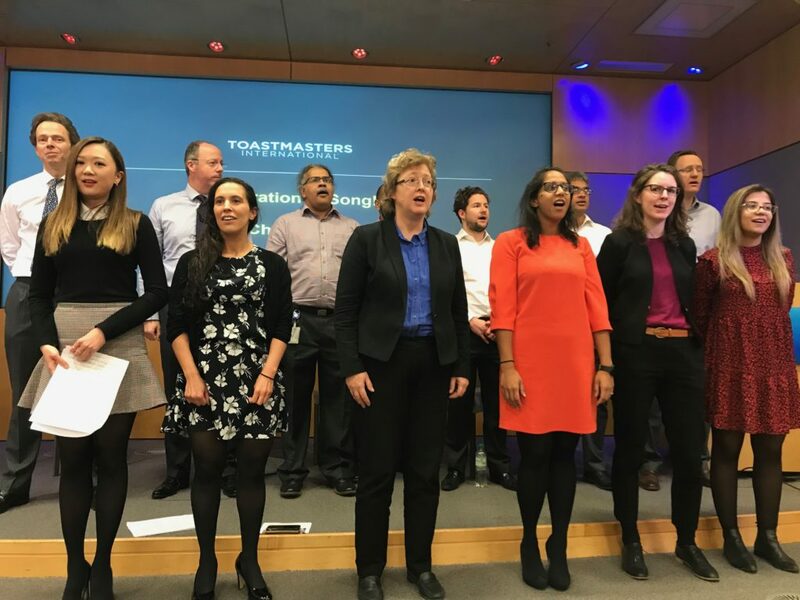 Filling the essential functionary roles for meetings are further opportunities to get more out of Toastmasters and your personal investment. Many years ago, I went into a company and said we had a problem with the projector. I was told that we do not have problems we have challenges. In another company I said to my contact we have a challenge with the server, only to be told, we have opportunities not challenges here. TMI is filled with opportunities at every level. What opportunities will you grasp on your TM journey? Aptly called Pathways now. 15th Year Anniversary celebration was held in the Citi group auditorium. It was a fabulous event with over 70 people, guests, members and alumni attending. On a warm sunny November Saturday morning I visited Barking Toastmasters, meeting 3 times a month now in the local library from 10.00hrs – 12.00hrs. I met “Clicker” and was surprised how many times it spoke to me during my brief table topic moment. Now the “Clicker” was something Barking Toastmasters club was trialling for the first time to help improve the quality of speech. Swati (Ah counter) was in charge! When a speaker said ‘so’, ‘um’, ‘aah’, or filler words, the clicker was clicked. It was distracting to start with as speakers had to continue their speech after a “click” and get back on track. As speakers went on there was an awareness and less filler words used. Well done Barking! A Table Topics with a difference – the Table Topics Master gave 2 words ie ‘Ladder & Horse’, ‘Land & Plant’, ‘Cube & Desert’ etc then the Table Topics speaker wrote their name and words on the board, link and talked about them. Very interesting and creative. Can you use this to be creative in your Table Topics? – http://creativitygames.net/random-word-generator/randomwords/2. The Area 31 contests were held on Thursday 6 October 2016 at Angel House in South Quay. It was a fantastic night with great enthusiasm from contestants and audience members alike, and a happy atmosphere! Thank you to all who came along and helped out on the night, and an especially big thank you to the Chief Judge, Pemma Fox, and the two Contest Chairs, Peter Boulton and Marjorie Perkins. – CWC: Harpreet Shergill and Kanishka Aubeelack for the Table Topics Contest. 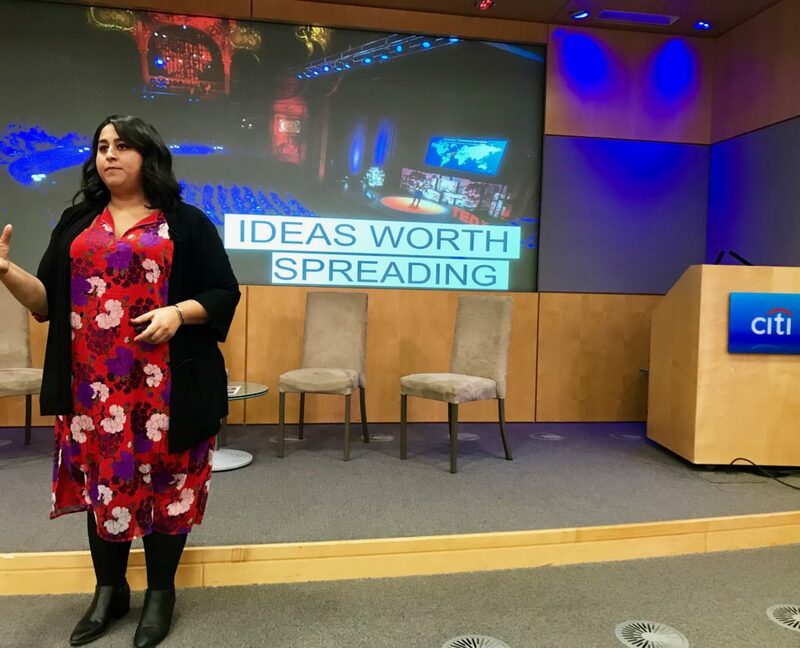 – WIBF: Nazia Tingay and Nick Harkin for the Humourous Speech Contest, and Becky Tuff and Nick Harkin for the Table Topics Contest. – WGS: Andrew Steavenson and Lena Chudasama for Humourous Speech Contest, and Jean Adamson and Pamela Odukoya for the Table Topics Contest. A big “Thank you” to Lyn Roseaman for the wonderful photos. Speakers of Croydon: special meeting this evening with keynote speaker Ken Olisa OBE.